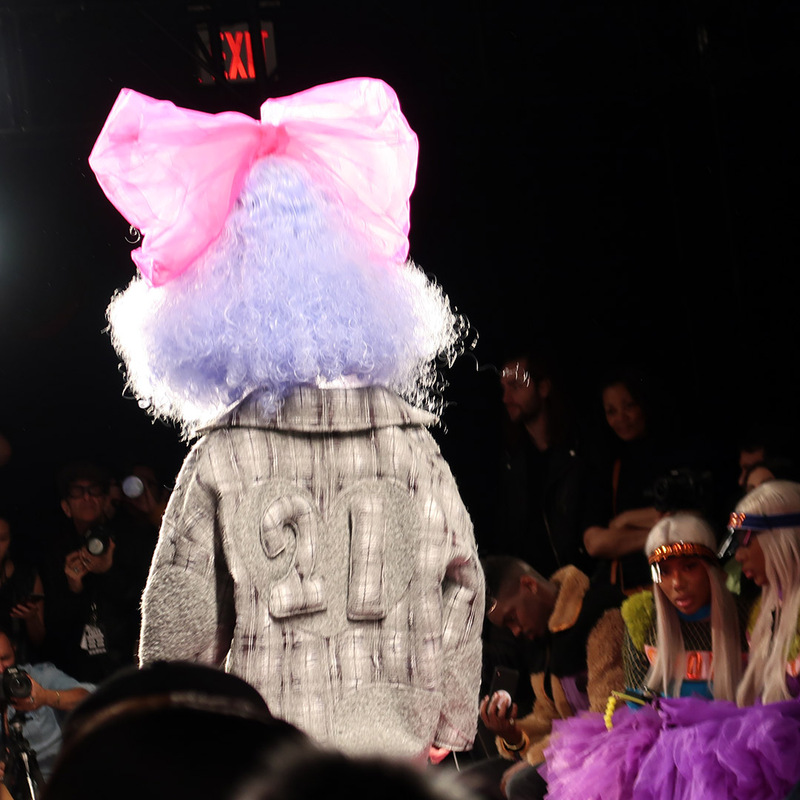 The first day of New York Fashion Week, I attended three amazing shows. Noon by Noor was filled with the perfect items we all need in our closet this fall 2019 season. The color palette was neutral, and also reflected the current fall 2019 color trends. My next show on day one, was Laurence & Chico. 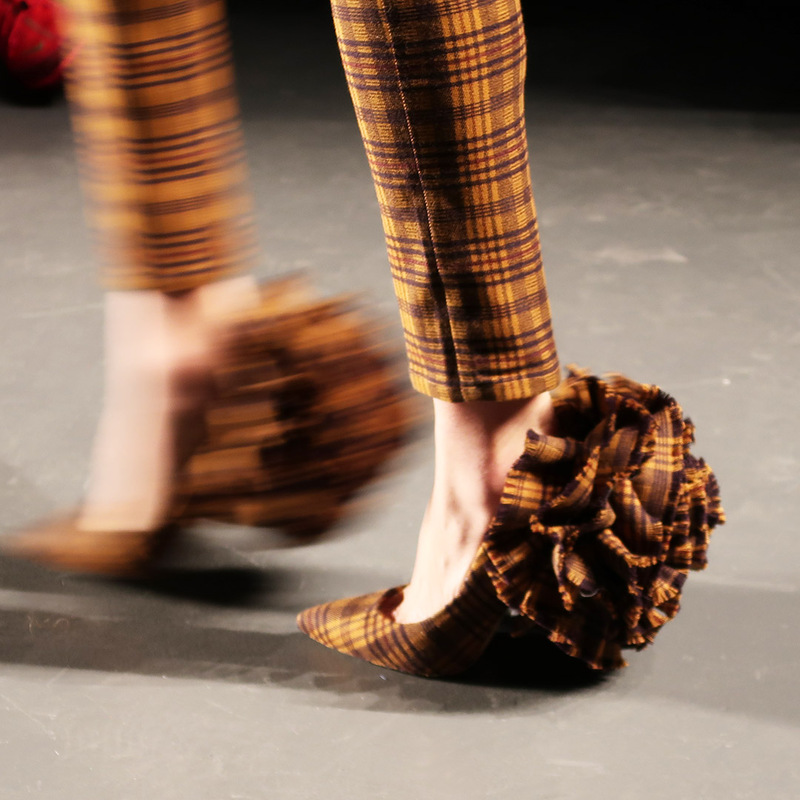 They are a really fun designer brand filled with playful designs, and avant-garde fashion. They have the fun items we all need to add to our closets when we need to amp our personal style. I finished the day at Badgley Mischka, which was a beautiful collection of party and evening attire. The fall line will round out our fall event season wardrobe quite nicely. Day one was really all we need to make our closets complete! Without further ado, here are my favorite looks from each collection, why I loved them, and why they would compliment your style this fall. Noon by Noor was one of my favorite shows this season. Everything on the runway would be perfect in my closet-and yours! These are a few examples of the fabulous choices for fall 2019 on the Noon by Noor runway. I loved the white dress which would make a fabulous swimsuit cover-up for a fall or winter getaway somewhere warm. 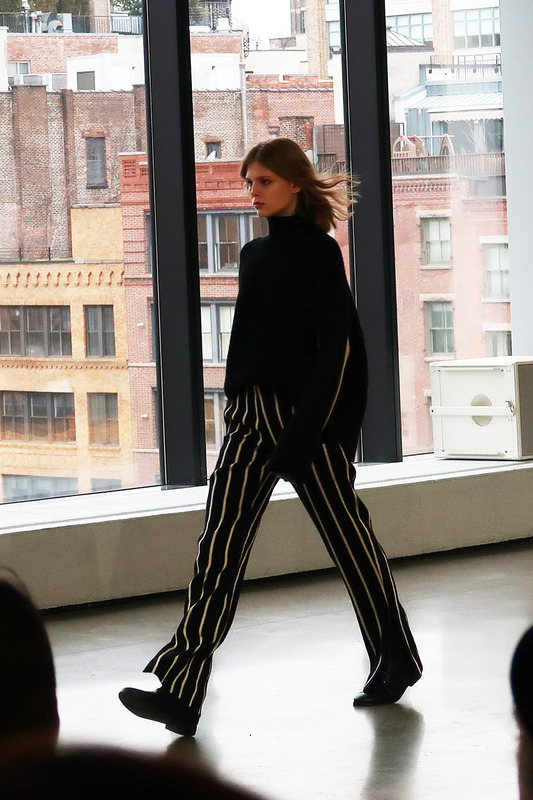 There were several black go-to looks on the Noon by Noor fall 2019 runway. I loved the stripe pieces which added dimension to the all-black ensembles. 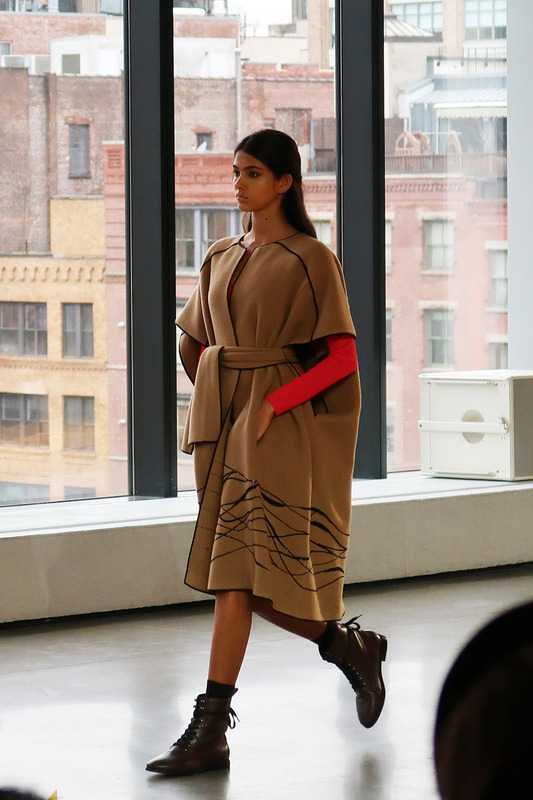 This camel poncho is nothing short of fabulous. I love the black details, and the drape is luxurious, flattering, and downright chic. You can see more of the fall 2019 runway collection by Noon by Noor online at their website, NoonByNoor.com. 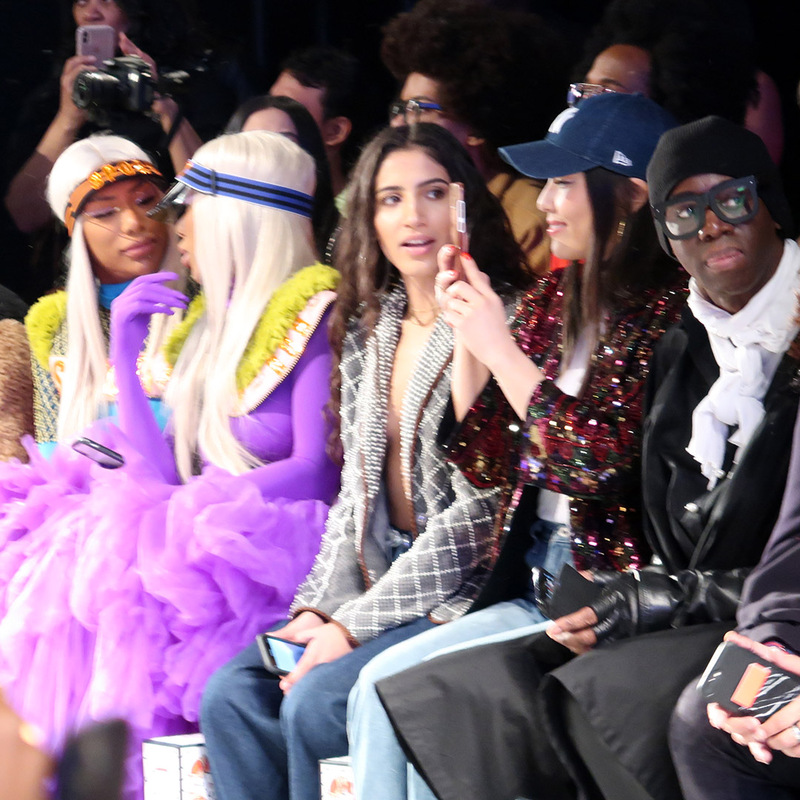 My apologies for the photos-I was using a new camera for the first time at fashion week and, well, I tried! I did better with my new camera at this show! Can you spot Miss Jay sitting front row in the second photo? Love! 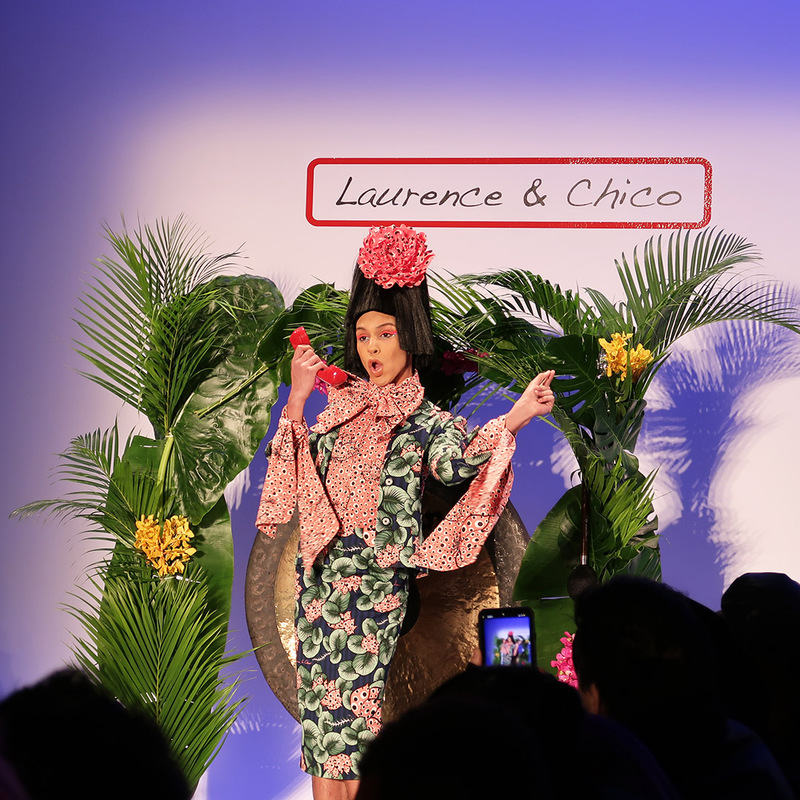 Laurence & Chico really put on a fabulous show for fall 2019 at New York Fashion Week. 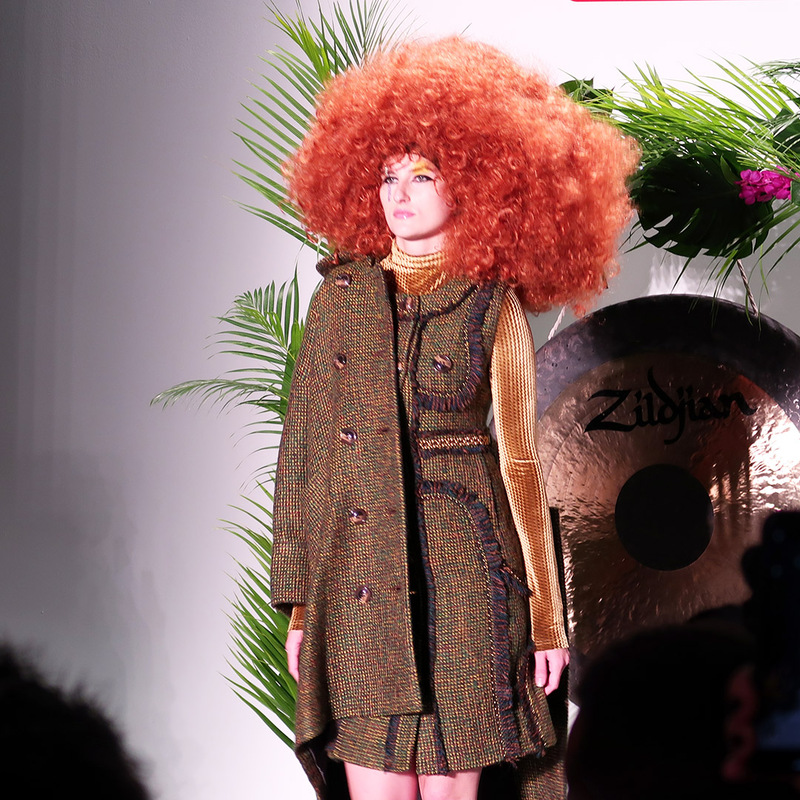 The music evoked a club vibe, and the models put on a theatrical show as they pranced down the runway. It was so much fun! I fell in love with many of the jackets and coats, as well as the vintage vibe. The runway show theme took us to “Thai Thai Land.” There was a vintage vibe, and although the collection was playful, it did offer many structured looks which can easily be brought from the runway to the street. I can see myself wearing that brown tweed set pictured above, as well as that fabulous blue and pearl white coat. Love! You can learn more about Laurence & Chico, as well as view their collection, online at LaurenceandChico.com. OK, my pictures did not come out very good. I did get one good photo of a model from the back. I loved the details on her gown, and how the dress offered a print on the bottom, with classic black on top. 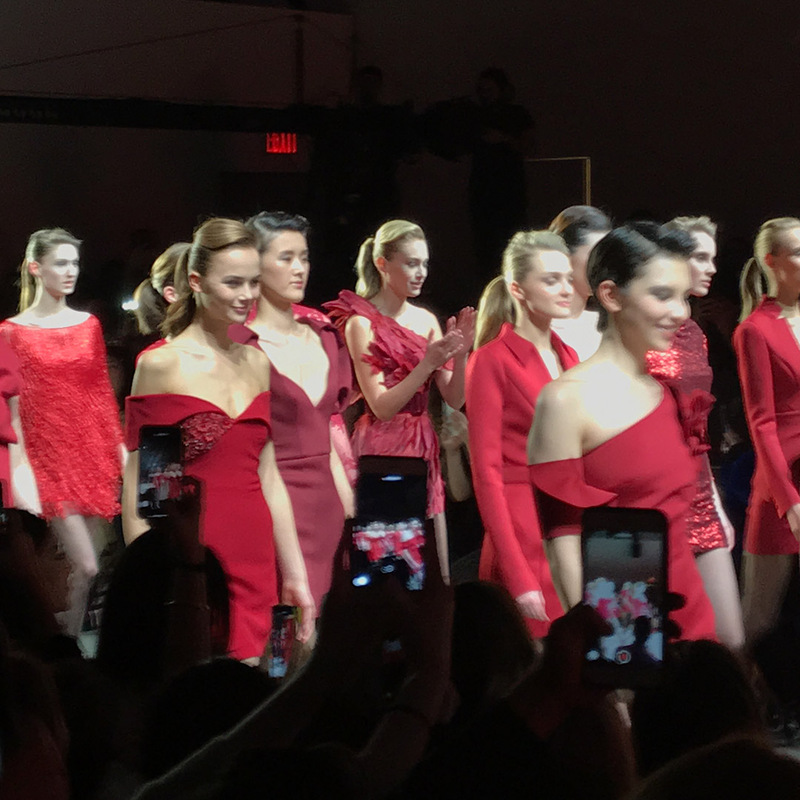 The final walk from Badgley Mischka’s fall 2019 New York Fashion Week runway show was full of red dresses. If you need a red dress this fall, Badgley Mischka is your go-to designer! 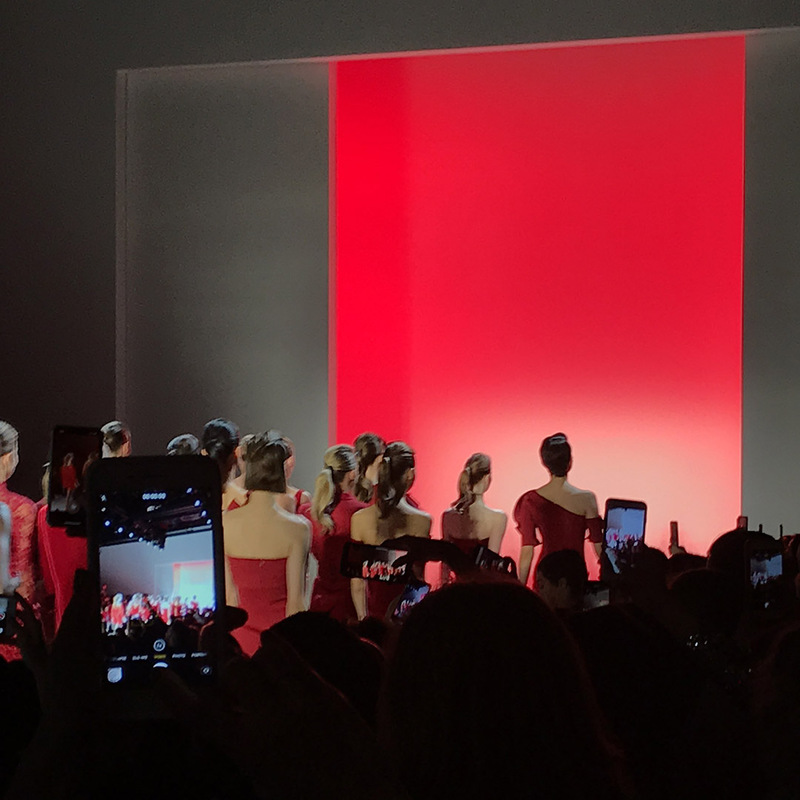 There were so many fabulous red dresses! I wish my photos came out better! I fell in love with all the sparkling fabrics on the runway, and the chic, classic lines of the collection. The dresses were timeless. Badgley Mischka really created a fall 2019 collection for New York Fashion Week which can withstand the test of time, and stay in a woman’s closet for many years to come. This is an investment collection. I fell in love! You can view the entire collection online at BadgleyMischka.com. 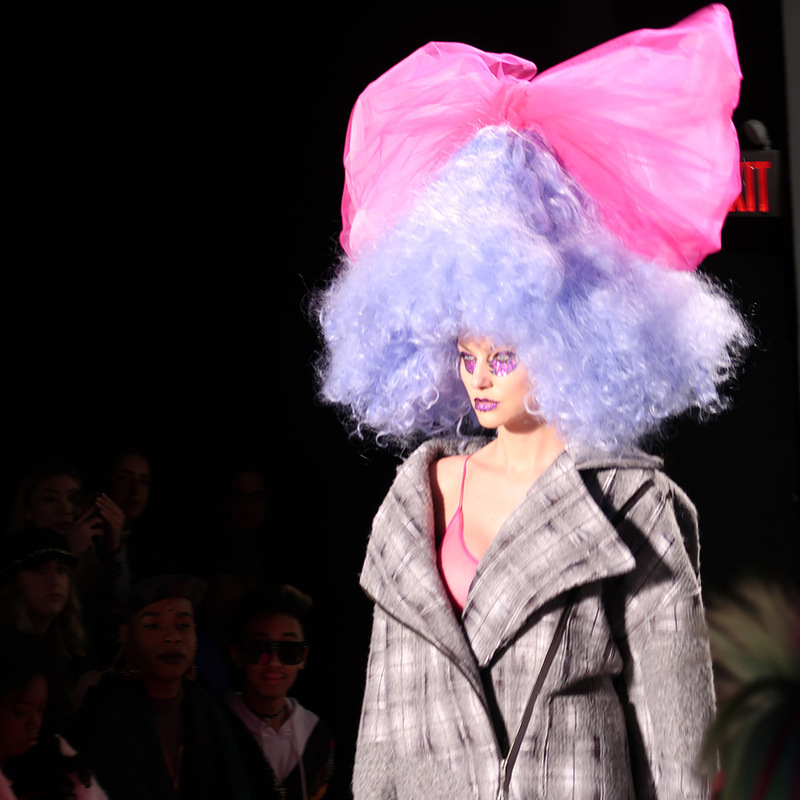 What do you think of the new fall 2019 collection from New York Fashion Week so far? Are you as excited for fall as I am?! 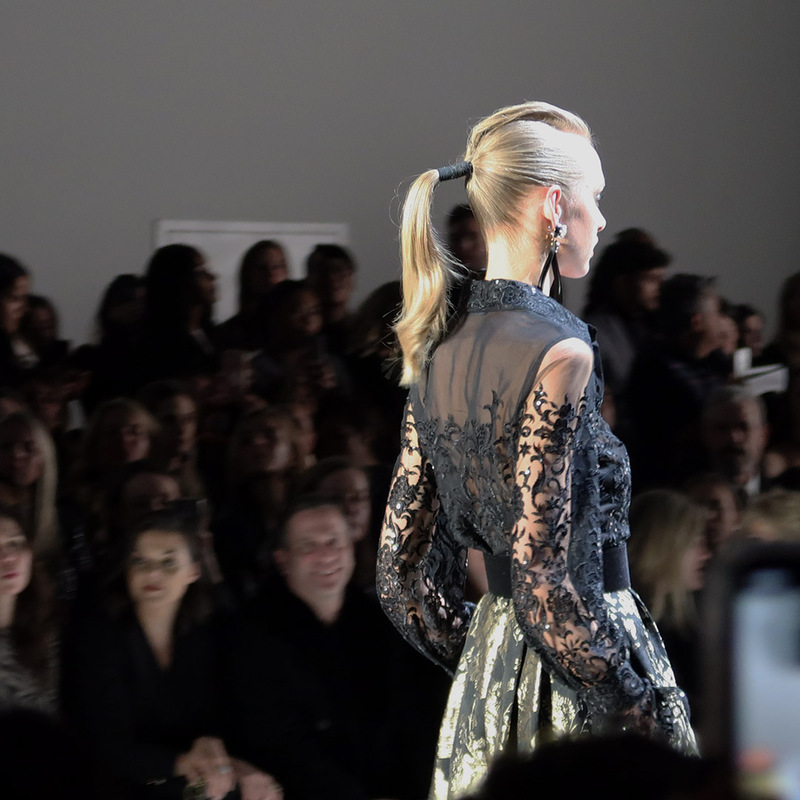 Thanks for stopping by-and stay tuned for continuing coverage from NYFW!